Stocks come in various flavors. 3. Can You Calculate Earnings Per Share Without Knowing Preferred Dividends? An equity share in a corporation makes you a part owner of the business. However, shares come in various flavors and confer very different rights and privileges on the stockholder. While some allow you to have a say in how the company is run, others only entitle you to receive cash payments every year. Some shares can be converted into other types at the discretion of the shareholder. Understanding the various types of shares will help you reach your financial goals. 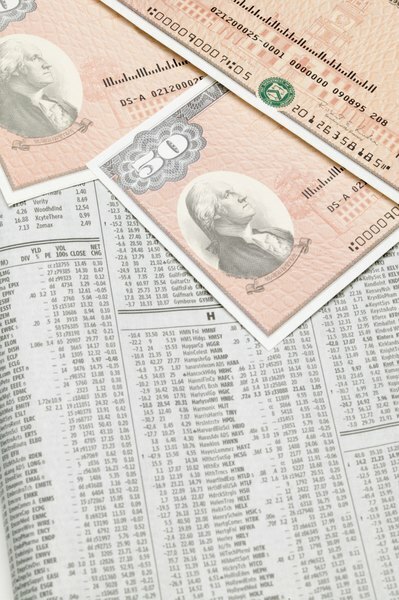 Common shares are the most frequently issued and traded types of stock, hence the name. A common share makes you an owner of the corporation. This gives you not only a portion of all profit distributions but also entitles you to vote in the annual shareholder meeting. In this meeting, held once a year, shareholders elect the board of directors and vote on other critical matters. If you own more than half of all common stock in a corporation, you can have full control over how it is run. Preferred stock entitles the owner to a fixed income stream that is far more reliable and predictable than that provided by common shares. Preferred shares carry an original issue price, also known as par value, and a coupon rate. The shareholder receives a dividend every year that equals the par value multiplied by the coupon rate. A preferred stock that has a par value of $500 and coupon rate of 10 percent, for example, pays the owner $50 every year. Unlike lenders, preferred stockholders cannot sue the company if it fails to pay this amount. The board of directors has the authority to suspend preferred dividend payments if it deems it necessary. Preferred shareholders have priority over common stockholders at all times. If the board of directors suspends preferred dividend payments, common shareholders, too, cannot legally receive any dividends. The company must honor the outstanding payments to preferred stockholders before it can distribute dividends to common shares. Should the company get dissolved as a result of bankruptcy proceedings, the preferred shareholders must be paid in full before common shareholders can receive anything at all. Preferred stockholders do give up one important right, however: they cannot vote in the annual shareholder meeting. Therefore, preferred stockholders cannot influence the strategic direction of the corporation. Convertible preferred shares constitute a subdivision of preferred stock. These shares can be exchanged for common stock at a set ratio, known as the conversion ratio. If, for example, the conversion ratio is one to four, preferred stockholders can surrender their preferred stock and receive four times as many common shares instead. For example, a preferred stockholder who owns 1,000 shares can submit these to the issuing corporation and obtain 4,000 common shares instead. This exchange is entirely at the preferred stockholder's discretion and is a valuable privilege. Should common shares rapidly appreciate, the conversion clause allows the preferred stockholder to give up her fixed annual income and obtain a larger profit instead. Charles Schwab: Is Preferred Stock Preferable? What Is an Owner of Voting Securities?